Marching Ammo? Think about it. Just as rifles need ammunition to work effectively, so do the troops who carry the rifles into battle. It has been said a million times before, and it is very doubtful that Napoleon Bonaparte was the first to say it, but an army really does march on its stomach. On the modern battlefield there is even less chance of living off the land in the way that Napoleon’s troop’s opponents were often expected to do, so the 24-hour individual combat ration pack is an essential part of the kit carried by almost every frontline soldier today, be that in or on his vehicle or in his pack and webbing. Just like the troops carrying the rifles needed their rations to march or patrol, over the last decade our team has often depended on combat rations to enable us to provide exclusive reportage of armies deployed on operations or exercises around the globe. Whenever possible we have not just eaten the food and used the accessories, but we have also brought examples home to photograph and when that has not been possible we have snapped them in-situ to let the rest of you see what keeps the world’s armies marching. 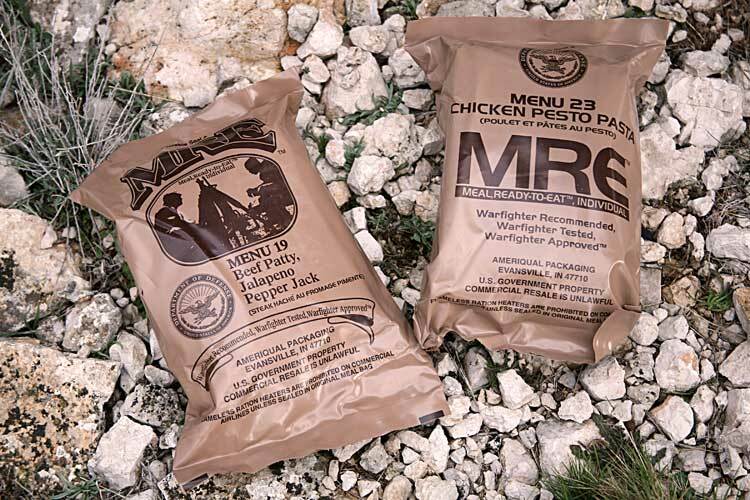 Pre-packed combat rations issued to troops in the field basically fall into two categories – single meal packs like the US MRE or 24-hour packs which provide sufficient food to give three meals a day. Both types are usually nutritionally balanced and most armies, in peacetime at least, try to provide variety and choice to keep morale up.